Everything is all Sticky lately. Tapping strings as a technique isn’t new, it is no longer just associated with the Chapman Stick either. But tapping has inspired a new generation of musical intruments and a couple of new generations of musicians. My last three reviews for The Progressive Aspect all have links to the technique, if not exclusively to the Chapman Stick, these being Isaac Vacuum, N.y.X, and Pavlov3. Now I bring you a review of GEPH. “GEPH?”, I hear you ask. Some say that a GEPH is the unholy union of two Stickists and a Drum Monster. Some say it is a band. That is because it is a band made up of an unholy union of two Stickists and a Drum Monster. Josh Goldberg and John Tyler Kent are the Stickists and Josh Merhar is the Drum Monster. A Drum Monster has the power to blend rhythms with mathematics to make your soul synchronize with the heartbeat of the universe but also to make tinkly noises in time to quiet songs. I know you have loads more questions so let me pre-empt them with some answers. In case you are still unclear about what a Stickist is; Stickists are like Chapman Stick trainers. Legend says that back in the 1960s two California based scientists, Doctors Emmett and Chapman, were experimenting with instrument teleportation (due to the unreasonable cost of booking an extra seat for large, bowed stringed instruments on commercial airlines) when they accidentally spliced reversed Cello DNA with a tall bearded man holding a guitar (we’ve all been there) and the first Stick was born. Little remained of the man – only a neck, all the strings from the cello and the guitar and some electronics survived the transition. They liked what they saw and made more using techniques only known to luthiers and geneticists. Legend also says that one escaped into the wild. This one was captured and tamed by Anthony “Alligator” Levin who then gave up the ways of the hunter to play Rock Music, taking this legendary beast to Europe and the U.K., spreading the rumour and legend of this queer instrument, rumours like “there are only two Stickists in the whole World” (really – I heard that was true in about 1978 and, in that pre-internet age, I had no reason to doubt it). Modern Sticks are no longer sentient and will sit in a corner quite calmly, just giving out a persistent telepathic Split-Your_Thought_Processes_In_Two_Then-Pick-Me-Up-And-Practice-On-Me-You-Slacker vibe. And what is a Drum Monster? Josh Merhar is a Drum Monster. I already explained this so please pay attention. Josh Merhar is also a rare human. He can interpret the strange noises made by Stickists and, crikey, does he do a good job! If left alone and kept separate it is hard to tell a GEPH from you, a “normal” person. GEPHs mix well with you people and even maintain accounts on well known social media sites. But get them together in a room and they start to “sing” to each other in a way which sounds like Rock Music – but better. 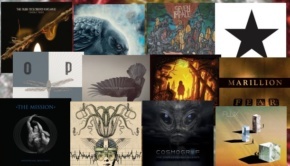 Some people have given this “singing” a name and that name is: “Progressive Jazz Metal”. 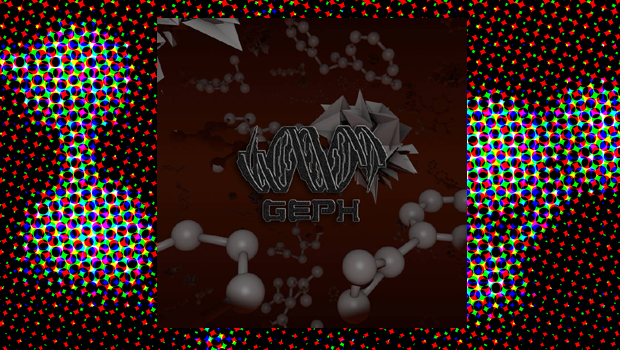 Luckily a recording has been made of GEPH’s Progressive Jazz Metal noise and it is an amazing thing. GEPH not only have innovative musical powers but they can also see into the future. Their album contains a warning and foretells the need for the Human Race to spread throughout the Galaxy lest they perish. They tell the tale of the first Quantumnaut who must investigate the power of gravity so that we can harness its power and traverse the stars. The amazing thing is that I derived all of that from listening to this complex and expertly performed series of instrumental recordings and not by reading the accompanying story that I vaguely recall seeing written down somewhere. Honest. I was aware of both these Stickists before they made a GEPH together. In retrospect it seems an obvious pairing. You should check out their previous releases and you can see where the musical DNA was bound to be compatible. Hop over to Bandcamp and check out John Tyler Kent’s Digits release. This relatively short release with diverse tracks is an absolute bargain at “Name your price” and well worth having. Here, Tyler explores the Stick but also shows his expertise as a guitarist and composer. Frankly, you’d be a bit mental not to download it! Then have a look at my TPA review for The Afro Circus’ Journey to The Centre Of The Ear and check out Josh Goldberg playing Sargatanas Before The Fall. Both these Stickists are extremely accomplished players and what is obvious from the start is that these are three hard-rocking amigos with a penchant for unusual time signatures, snappy drums, melody, harmony, metal and jazzy chords. So what does this unusual combination of two Stickists and a drum monster bring to us? One is, after all, a monster, should you be afraid? With what is, essentially, the ability to have the roles of two guitars and two bass players playing simultaneously there could be a danger that this could be a mess, muddied by egos. But Josh G and Tyler work together as a unit and continually play to each others’ strengths. 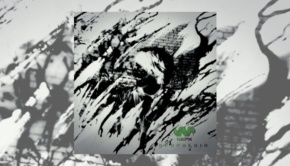 Throughout the album they demonstrate calculated restraint and give the music subtle space infused with lilting melody and complex arpeggios but also a combined and majestic power. They act almost as one symbiotic entity, with Josh Merhar working sympathetically to perfectly complement this fusion, sometimes smashing it, sometimes providing soft percussion, overlaying the complex polyrhythms and grounding the beat with steady cymbal-work. Add to this Tyler’s mix, which is superb, with the panning and relative volumes of Sticks and drums making the best of the versatility of the instruments and the musicians. Case in point is the track Mawhktarr Da’ario which has been available on YouTube for some time now. You can see how much these guys enjoy what they have achieved here as the track opens with smiles and dancing. Mawhktarr Da’ario is arranged into distinct sections; starting with a light-hearted and jazzy vibe it soon gives way to something more sinister. In places full of space, this track is later full on and as heavy as Osmium. Tyler lays down a superb bass line while Mr Goldberg fills the space with effects-laden, synth like ambience and Mr Merhar just gives it the grooviest/heaviest drums. Later Mr G produces a splendid distorted bass solo as the song builds toward its concluding movement. All three musicians just share the glory. This band is a unit where ego takes a back seat while three professionals dedicate their efforts to getting the job done. Then they hit you with the short Planck [EDITOR: Ouch!]. If Maurice Ravel had been born 50 years later, had access to modern instrumentation and wrote Boleros for horror films then he may have conceived this track. There’s the proper scary bit. Planck bleeds seamlessly into the final track on the album, Manifest Destiny’s Child. My only criticism is small but, paradoxically, related to earlier observations in this review that I use to highlight good things. But then, I am very complex. I think they are such a coherent unit that the individuality is slightly lost. I’d like to hear more of this highly collaborative sound but also hear a little bit of the individual jumping out, perhaps in the guise of a track penned by each of these cracking musicians on their next album. There must be a next album. The bottom line is that if you like clever musicians playing clever music that has a twist then you should love this album. So what you want to know is: should you buy this album? Read this again then see me in my office!